Monday March 4, 2019-The Kenya National Examinations Council (KNEC) has reportedly deregistered 342,916 KCPE and 28,713 KCSE candidates for breaching registration procedure. 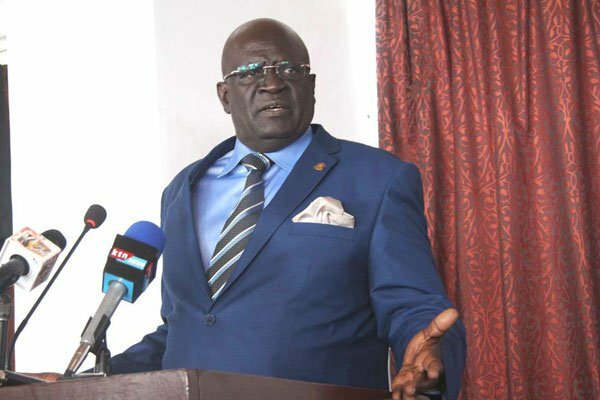 According to reports from the Prof. George Magoha-led KNEC, parents and head teachers in schools countrywide might have colluded to use false birth papers to register candidates for this year’s examinations. Speaking on the issue, KNEC Chief Executive Officer, Dr. Mercy Karogo, revealed that the anomalies were detected during a validation exercise by the agency. “We have listed several cases where schools manipulated the birth registration data to register candidates,” Dr. Karogo stated. She added that the council was shocked by the behavior of some school heads and parents. “Some just entered zeros while others entered some funny digits. We detected all these and cancelled their registrations,” she revealed. Magoha has since been nominated as Education CS. that is progress that comes with a 91 page CV of zombie jubilee spanner bodies. the foolishness that comes with such zombie, is that they want to be seen and felt to be working: yet they are not. To these zombie, what happens to those 345,629: they are Kenyans and zombie created by the zombie regime you serve.